2017: Signed with the Philadelphia Eagles on Jan. 9. Released by Philadelphia on August 13. 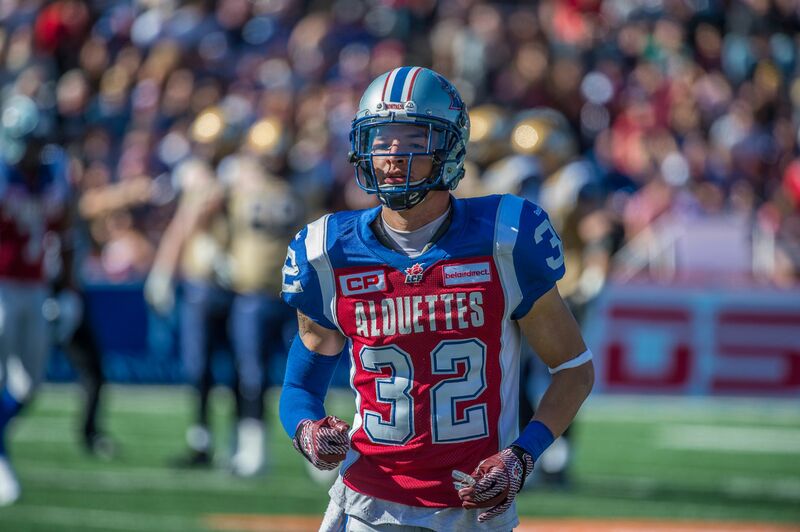 2016: Signed a contract extension with the Alouettes on Feb. 9. Released by Montreal on June 19. 2013: Signed as a free agent with the Oakland Raiders on May 13. Released by the Raiders on August 27. 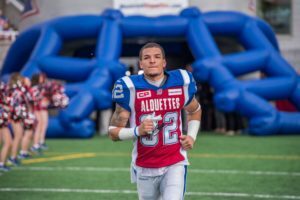 The 27-year-old joined the Argonauts in September, after taking part in the Philadelphia Eagles training camp, making 11 defensive tackles and three interceptions in only six games. Played and started in 14 games for the Redblacks, tallying a career-high 38 tackles and four interceptions…Set a single-game high of seven defensive tackles vs. BC in Week 15 (10/01/16). Playoffs: Appeared in both of the team’s playoff games, posting eight defensive tackles. 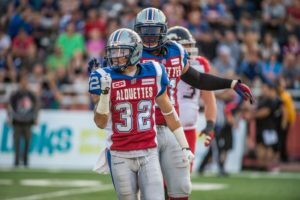 Played in 16 games in his second season with the Als in 2015. Tallied 30 defensive tackles and one special teams tackle. 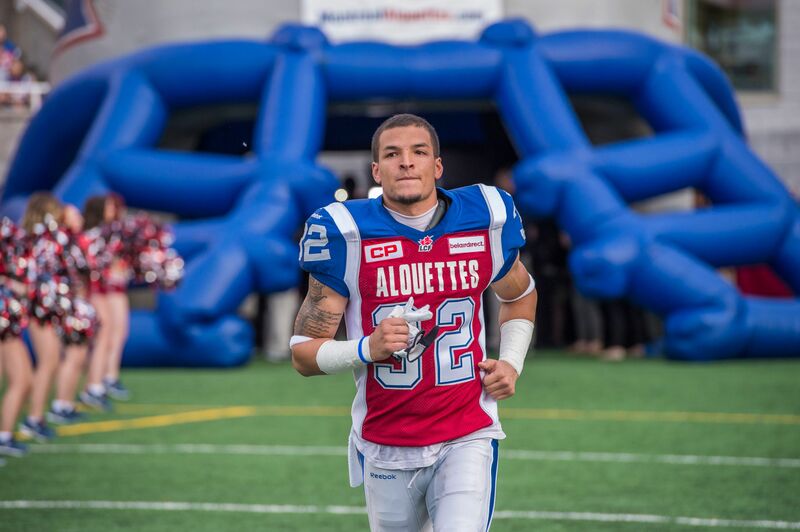 Played in 12 games during his first full season with the Alouettes in 2014. Totaled 29 defensive tackles and one interception. Playoffs: Played in both of the team’s playoff games but did not record a stat. College: Played five seasons at Michigan State University from 2008 to 2012. The Livonia, MI, native appeared in 43 career games for Michigan State, tallying 26 tackles playing cornerback and safety for the Spartans. White recorded seven tackles in 13 games with the Spartans during his senior year in 2012 and saw the field primarily on special teams. He was also a high-jumper for the Michigan State track-and-field team and competed at the Big Ten Championships. Attended Stevenson High School in Livonia, Michigan, where he was a two-year starter at quarterback and honourable mention all-state as a senior. He led the 13-1 Spartans to the Division I State Finals during his 2007 senior season after throwing for nearly 1,500 yards and 18 touchdowns. Also a four-year letterman in track and field, White won the 2008 state high jump championship and received All-America recognition in high jump. 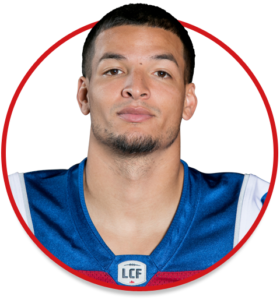 Mitchell has an identical twin brother, Myles, who played college football at Louisiana Tech and is currently playing for the Winnipeg Blue Bombers. Mitchell received his bachelor’s degree in interdisciplinary studies in social science – human resources and society in December 2012.